The Missouri Botanical Garden (MGB), the nation's oldest botanical garden in continuous operation, sponsors botanical research, horticultural displays, and educational programs. 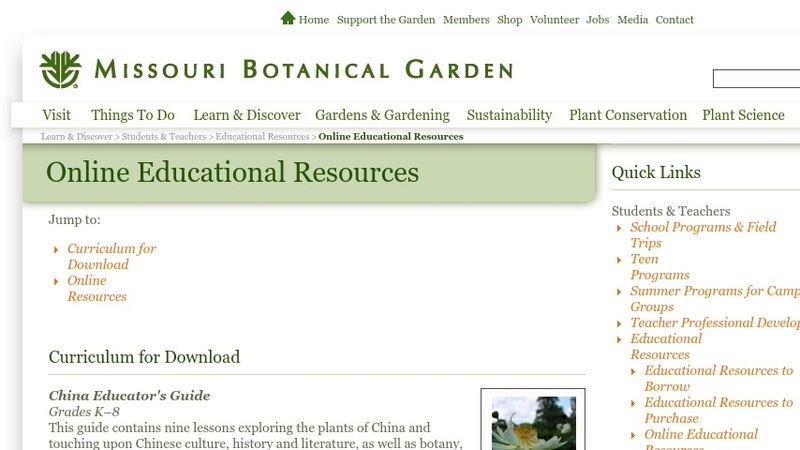 Materials offered on their site include an overview of MGB research programs, including field projects, graduate studies, laboratory research, and databases; an education page, providing information and access to materials on adult classes, programs for the general public, and instructional materials for students and teachers; and a gardening page featuring information and resources (including information about on-site classes) for home gardeners. Other materials include information on upcoming events, membership, and job opportunities.